I have a 160 MPH Speedometer for a Fox Body mustang. Part number is E9ZV-17A277AA-N. I bought this off a vendor at the Columbus Swap Meet. A few years ago. I've been sitting on it as I was going to install it in my 1990 LX but have decided to sell it and some of the extras to fund my 03 cobra project. So here it is. I was told it was brand new it has 10 miles on it. I paid $250.00 for it 3 years ago. I would hope to at least get that back at out of it. I know what it is for and where it was used and that it is obsolete and not very easily replaced. You will be very pleased with this item. Email with questions. Thanks for looking. 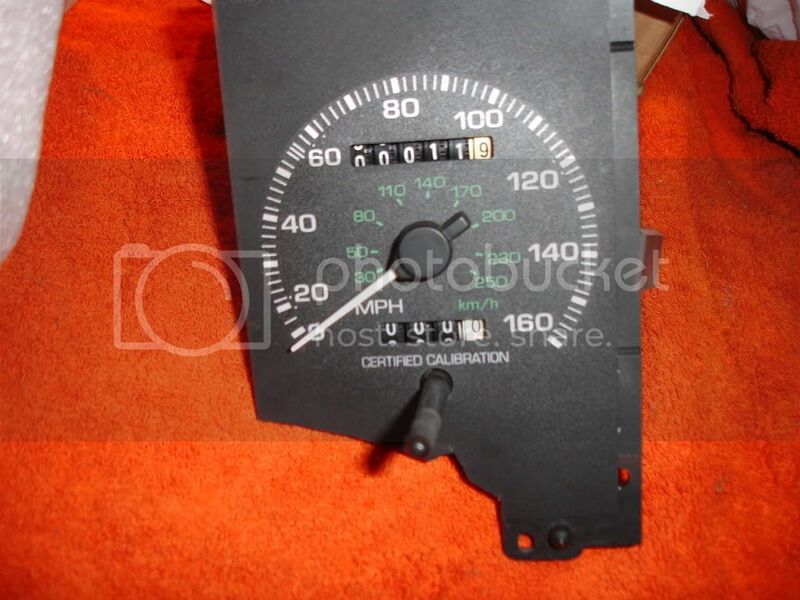 Do you still have the 160mph speedometer for 90 mustang,whats the least you would take for it shipped.you can contact me 1-903-769-4447 or e-mail [email protected]. THANKS. I am interested in this item.I would like to talk to you about it and make you an offer ,my phone # 1(903)769-4457 you can call me collect,also my e-mail is [email protected] THANKS ,I AM VERY INTERESTED. Bumpage someone make an offer on this. I am ready to sell this rare item. Did you ever sell the speedometer that you had listed here?? I'll take that offer if the speedo is still available. MOFO Production-Turbo 5.4 Stang-600HP Mustang GT-408w mustang-Ported Blower Cobra! !